Around 2.5 billion people live, work, and depend on indigenous and community lands. They protect about half of the world's land, but have full ownership rights to just one-fifth of that. Why this massive gap? Lack of political leadership from governments and corruption, as well as business as usual by corporations and consumers. Not having these rights means that entire communities and cultures could be left landless at any point in time. It is getting worse - driving conflict, poverty, and political insecurity around the world. Community lands are increasingly threatened by the exploding demands from the agriculture, mining, fossil fuel, and logging industries. Land-grabbing has become a global menace, driving communities out of their homes and into poverty. This is why hundreds of Indigenous Peoples and community organizations and NGOs in partnership with Oxfam, International Land Coalition, and Rights and Resources Initiative, have come together in a new alliance to start the Land Rights Now campaign. We--the world's Indigenous Peoples, rural communities, and their supporters - are urging and encouraging governments to double the amount of land these communities own by 2020. If governments are to meet the United Nations' Sustainable Development Goals to "end poverty, protect the planet, and ensure prosperity for all," further recognition and respect of community land rights is needed to help communities improve their economic well-being, preserve their cultures and save the environment. Those affected in this story of injustice are often the poorest and most vulnerable. Enxet in Paraguay, Cambodia's Kuy, Oroko and Bakossi in Cameroon, and beyond; these are communities who protect our planet, and they are being deprived of their rights. The brutal murders of indigenous land defenders Berta Càceres and Nelson García in Honduras is a tragic reminder of the challenges communities and activists can face in protecting their lands. Urgent action must be taken to condemn in the strongest terms the killing of human rights and environmental defenders; to bring about an end to impunity for the perpetrators; and for governments worldwide to commit to protect the rights and lives of those who raise their voices in defence of their lands. Many rights abuses are driven by the idea that indigenous and community lands are either empty or under-used, and thus ripe for economic development. On Sri Lanka's eastern coast, hundreds of families were evicted from their homes in 2010. The government sought new lands to develop as tourist destinations, at the expense of the farmers and fishers that had lived there for generations. The community organized, protested, and petitioned the government's human rights authorities, and yet years later, they're still in exile. 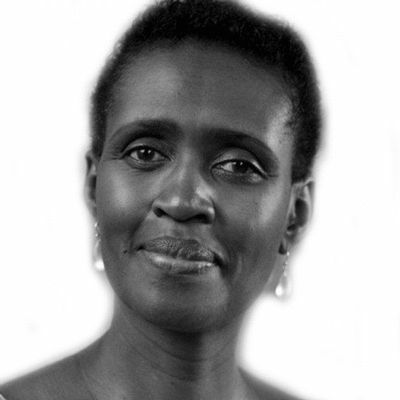 Securing land rights is also critical in the fight for gender equality. Not only do women have to fight for their ancestral lands against outsiders, but they also often struggle to be seen as equals within their own communities. Without secure and equal rights to forest, farmland, or pastures to make a living, their risk of falling into poverty is higher. And if justice for billions of men and women wasn't a good enough reason to act, consider this: the Paris Agreement on climate change will only be met if communities and indigenous communities gain the right to control these natural resources. For example, unless trends are reversed in Guatemala, 40 percent of the Maya Biosphere Reserve jungles could be gone. What survives will mostly be land that's under the protection of local communities. Securing land rights is crucial if we are to slow the destruction of forests, remove carbon from our atmosphere, and lower greenhouse gas emissions. This crisis has gone on for far too long. The gap in recognition of community land rights reflects the catastrophic failure of governments to respect the rights of their citizens. To begin righting the wrong, governments and corporations must recognize that the claims made by these communities are legitimate. If governments and legislatures passed and implemented strong laws protecting their rights, communities wouldn't have to depend on courtroom fights against lawyers representing powerful interests. Every one of us must help in this fight. As consumers, we must demand products from companies that respect community land rights, and to hold governments and corporations accountable to their promises and commitments. The Land Rights Now campaign is about standing in solidarity with the billions of people living on indigenous and community lands. Add your voice to demand justice, human rights, gender equality, and a healthier environment for all. Stay informed, stay vigilant, and get involved. Photo Credit: © ILC / Jason Taylor. 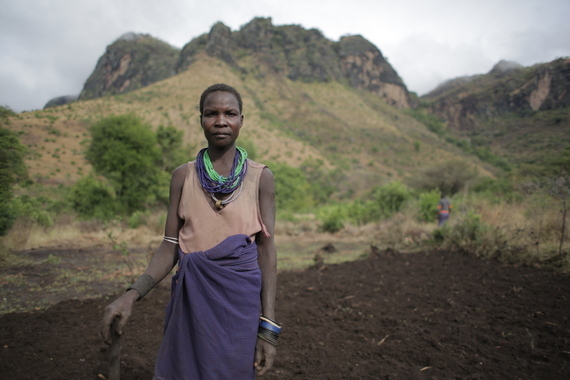 Info: One of the village farmers stands on a patch of community land she has just tilled, Karamoja, Uganda. The ULA, recipient of the 2015 ILC Award, has used existing laws to empower and protect those living on and from the land.